I arrived and got my space setup in the crop area. They gave me a huge goodie bag! But I didn’t really have time to go through it. I had a class to go to in half and hour, and I wanted to start on my layout for the contest before I left for the class. My first class was making cards with one stamp and one palette. 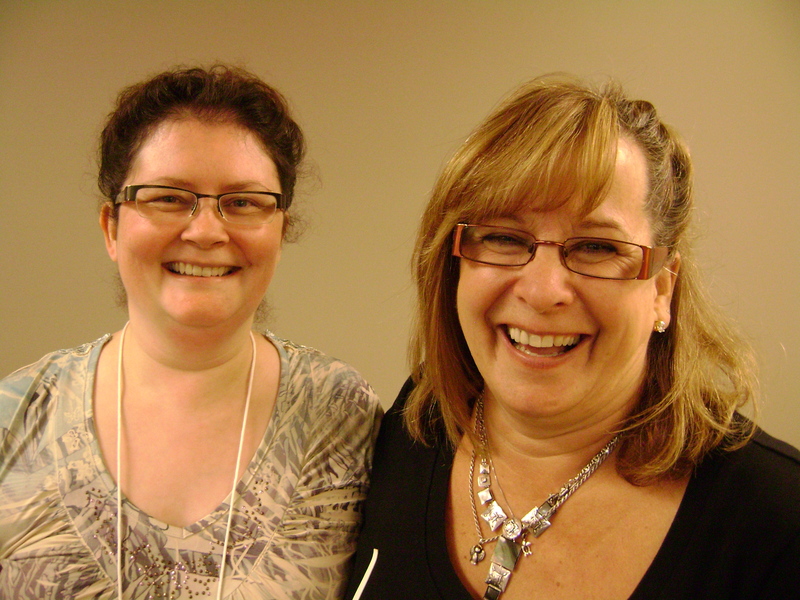 It was taught by an awesome lady–Cathie Allan! She has been working with stamps for 25 years. 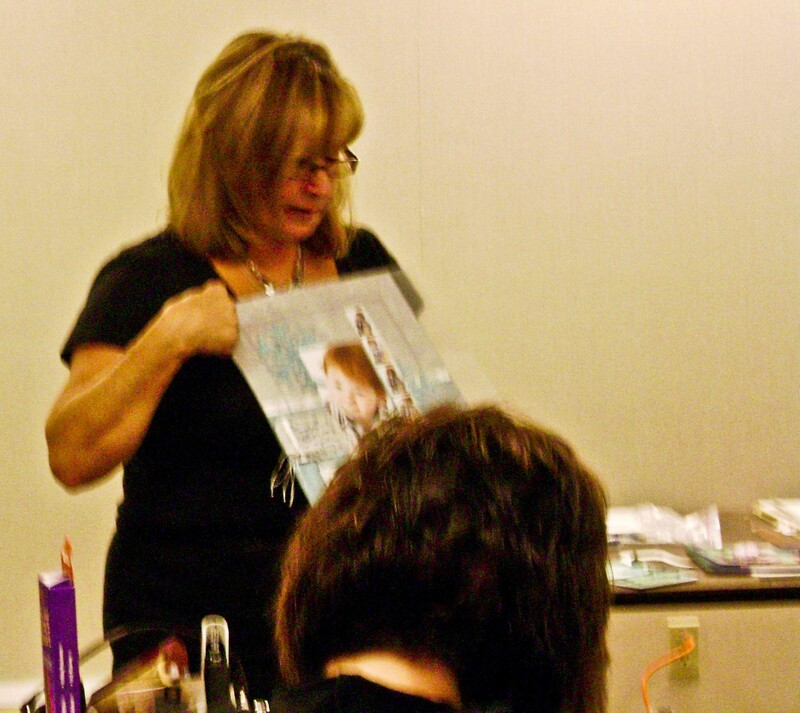 She is so knowledgeable and full of amazing stamping tips. What a delight! We made some beautiful cards. I will post some pics of them as soon as I finish them. 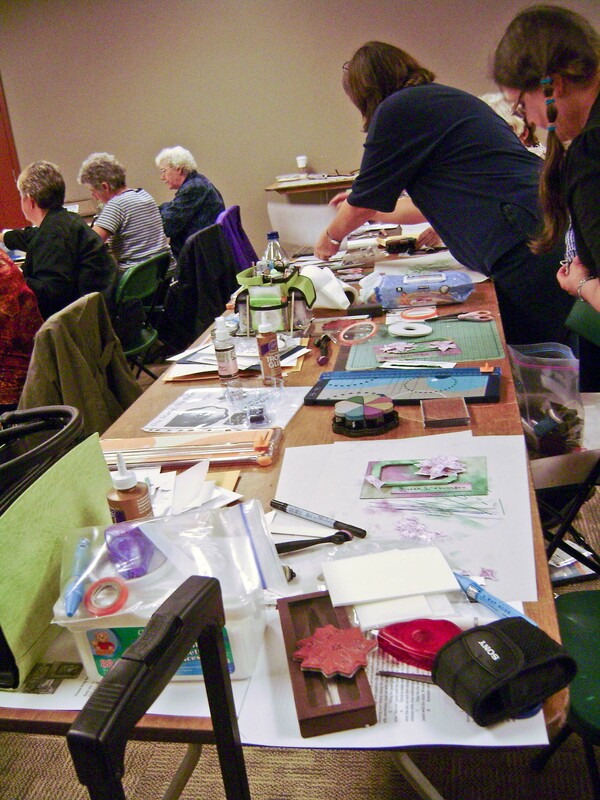 It was a whirlwind of a class with lots of technique. So much so that we didn’t have time to completely finish each card. But that’s okay. I would rather learn more technique in the class than spend it assembling the cards. Thanks so much, Cathie! I then went back to my crop space and worked on my layout for the contest. I had the idea to do a page on my son beside Jack McCall in Deadwood. We went there last summer. The page will be called “The Trial of Jack McCall”. I even made a noose out of natural twine. It is going to look awesome! I also spent some of the break between classes to do a bit of shopping (of course)! 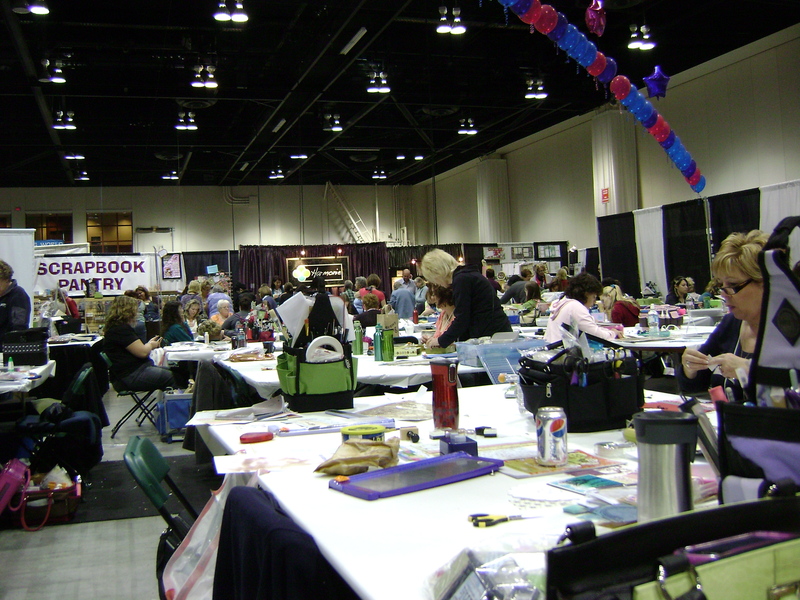 There were a lot of booths to shop at, but not as many as last year. But I still bought a bunch of stuff! I had no problem there! I’ll be doing some videos soon, showing you all what I bought there. Lots of delicious goodies! You can never have too many scrapbooking supplies, right? The second class was a little outside the box. I’m not used to getting so messy! We played with Mod Podge! We did a sort of patchwork page using all sorts of scraps of paper. We then cut out a heart and used it as a mask to cover part of the page. We then painted the rest of the page with white paint (mixed with water). It turned out fairly nice, but I still think that Mod Podge is pretty messy! You’ll see pictures of that page coming soon. I even won a little prize in that class. She gave away a little bag of trinkets to use on a page. These were supplied by The Steam Trunk (www.thesteamtrunk.com). I won because today was my birthday! Yes, what a wonderful birthday this was! I went out for chinese food with my hubby and son after my son helped a friend setup his band at a Calgary venue. Well, that was my day. Now to bed and on to day 2 tomorrow!